Just some more pictures from school. 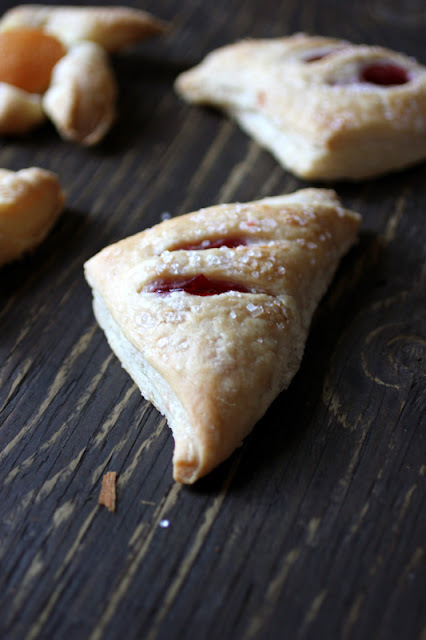 I resisted bringing much home this week, but I felt obligated to bring home the puff pastries...the prize for my days of rolling and rolling. The dough was fun to shape, though difficult—pictured are pinwheels (which I made) and cherry turnovers (which I did not). 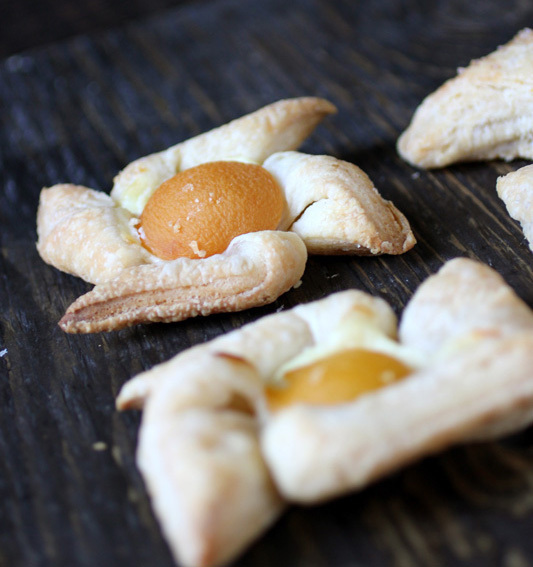 That is apricot in the middle of the pinwheel, by the way...not an egg yolk. The class also made apple strudel and palmiers (or palm trees, or elephant ears), but I didn't make them and my family can only consume so many layers of butter. Actually, it's amazing that I got any of the baked goods home today—I had to fight torrential rain and HAIL...nearly drowned while walking to my car. 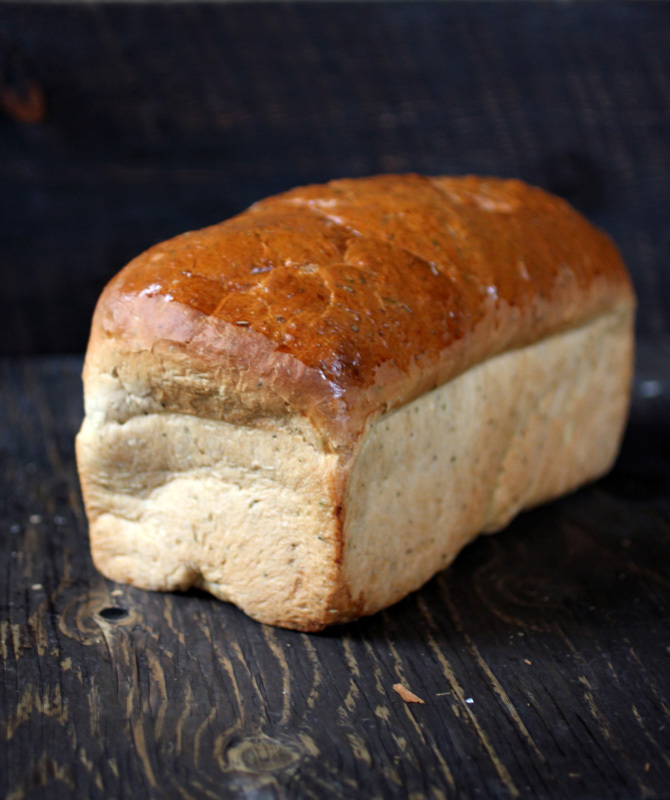 The herb bread was just something practical I thought my parents would enjoy. It smells amazing and made my car ride home very fragrant. So pretty, and good tasting also, I'm sure! I also love the table/backdrop for your photos!